l4449 has no other items for sale. Details about HO BRASS PRECISION SCALE PACIFIC COAST 3-TRUCK SHAY # 16598 W/PFM SOUND,SLT. HO BRASS PRECISION SCALE PACIFIC COAST 3-TRUCK SHAY # 16598 W/PFM SOUND,SLT. 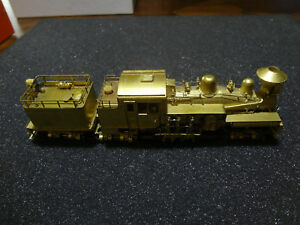 HO scale PFM Tenshodo Brass GREAT NORTHERN GP 9 Diesel locomotive IN VG COND. HO scale PFM Tenshodo Brass EMD SD-24 Low Nose Diesel locomotive IN VG COND.